Virat Kohli after performing brilliantly with Rohit Sharma in the first One Day International against West Indies at Guwahati out of the five-match ODI series made Team India take lead by 1-0. 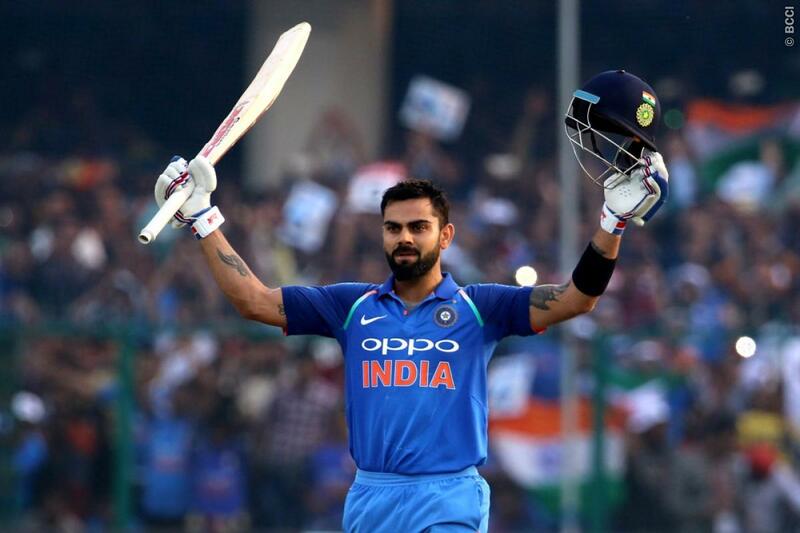 On the second One Day International against West Indies at Visakhapatnam, Virat scored the successive century and also broke the record of Master Blaster Sachin Tendulkar by becoming the fastest to 10000 ODI Runs. Not only this he became the fifth Indian batsmen and 13 overall to score 10000 plus runs in ODI. He joined the elite group of 10k ODI runholder. Here is what the humble Virat Kohli said on his mindblowing achievement. Virat Kohli told that he feels very grateful and blessed. He never imagined that he would get to this stage one day in one-day internationals career but it had happened and he is very thankful to God and he feels very grateful. Kohli feels that these things do not matter much but to understand that he has come this far in his career with playing for 10 years is something very special to him because he loves the sport so much and wants to play it more and more. For him, that is the most important thing. He is just happy that he has been able to play for this long and he hopes to play for many more years to come. He never thought he could achieve this feat or he would get to that stage. He always thought that he just wants to play for India. Kohli told that if you focus on the process and stay focused on the right things, then these things become irrelevant after a while. His duty is to score runs and having done it for a long time, everything has collected for this moment but the intention should always be to look for what the team needs and get as many runs as possible. He has been able to push his physical abilities and mental abilities on what the team needs and in that process, more runs have been scored than otherwise. He told that he has just been focused on the situation and he is glad that he has been able to help the team with the bat. He told that it is a great honor for him to represent India. Even after playing for 10 years, he does not feel that he is entitled to anything. He told you still have to work hard for every run you score at the international level because there are many people who want this very badly.